FOR IMMEDIATE RELEASE: Lewiston, Maine (May 31, 2016) – The Androscoggin Bank Colisée has a storied history of professional boxing inside the arena’s four walls. On June 18, Russell “The Haitian Sensation” Lamour, Jr. (13-2, 6 KOs) will add the next chapter to that story when he enters the New England Fights (NEF) ring for the first time. 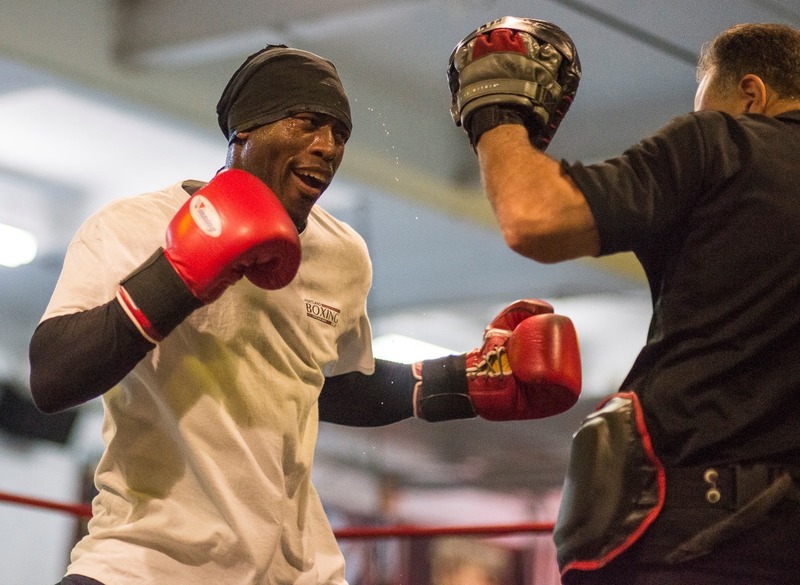 At “NEF 24: PROMISED LAND,” Lamour will make his NEF debut in a middleweight bout against Mexican veteran Roberto “El Viejo” Valenzuela (69-71-2, 56 KOs). A native of Brooklyn, New York, Lamour entered the Portland Boxing Club shortly after graduating from Deering High School in Portland, Maine. He had a stellar amateur boxing career, finishing with a record of 102-18. Among his numerous amateur accomplishments, Lamour was a five-time New England regional Golden Gloves champion. He competed in the semi-pro World Series of Boxing (WSB) where he was the number-one ranked middleweight in the Americas. Lamour’s success carried over to the professional ranks where he won his first 11 bouts. Over the course of that impressive run, Lamour would capture the vacant USA New England Middleweight Title with a TKO victory over Laatekwei Hammond (21-6) in Lamour’s hometown of Portland, Maine. Lamour has competed on ESPN’s Friday Night Fights before a national audience. Last month, he scored a TKO win over Borngod Washington (3-17) in Salem, New Hampshire. Lamour hopes to make it two in a row with a win over Valenzuela on June 18. Roberto Valenzuela is no stranger to Maine fight fans. He travelled from his home in Sonora, Mexico to Lewiston, Maine last fall to battle Brandon “The Cannon” Berry (11-1-1). Valenzuela would lose the bout via unanimous decision, but he impressed all in attendance with his gritty performance, roughing up Berry and cutting him above the eye in the process. Valenzuela has faced the likes of former world champions Andre Berto (31-4, 24 KOs) and Steve Forbes (35-14, 11 KOs) and current world champion Zahir Raheem (35-3, 21 KOs). He held the Mexican Pacific Coast Super Featherweight Title from 2003 to 2007.